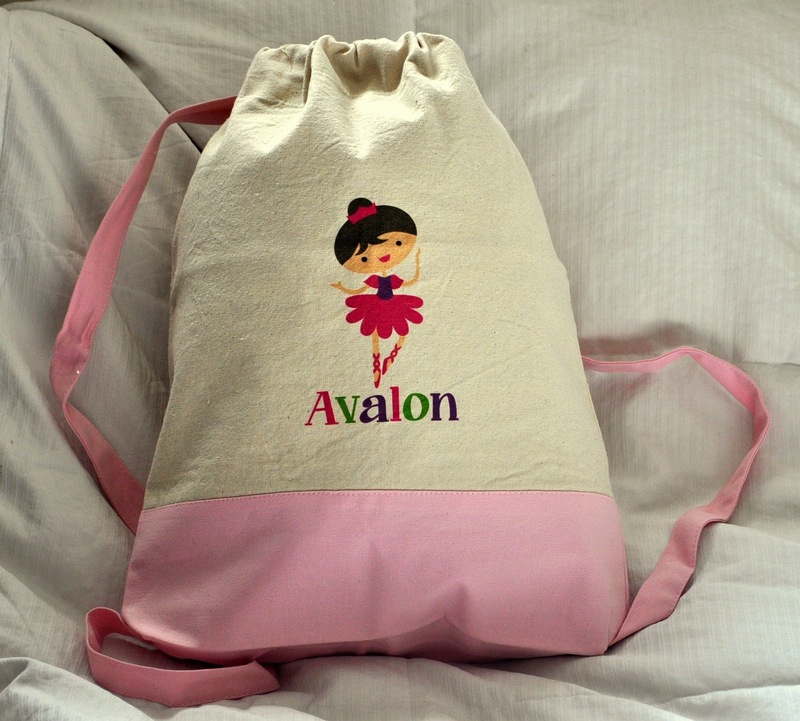 Check out the adorable ballet bag I bought for Avalon from Heather Rogers Designs on Etsy*. What first got me excited about this bag was that I could personalize it with her name, and even choose her hair and skin color! 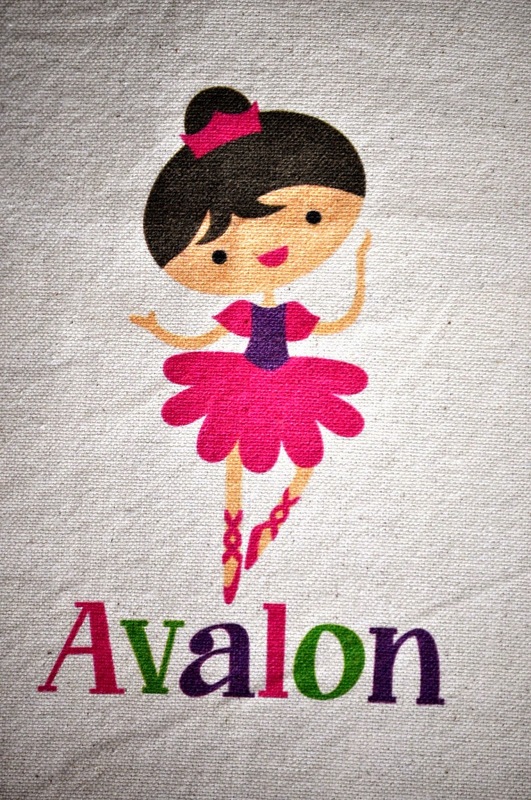 Besides that, at only $20, I figured it was a good investment to keep her ballet things organized. Once I received it, I realized what a great investment it really was! First off, the bag is way bigger than I was expecting. The measurements are, 14"W x 18"H x 2"D, which is plenty big enough for her to use into her teen years. I'm also impressed by the quality of the canvas bag. The design is dyed into the fabric, rather than ironed on, for a much better quality product. Now, as promised, a yummy recipe! Cream sugar and butter. Blend in egg yolks. Add flour and mix well, then form into small balls. Beat egg whites in a separate bowl until frothy. Dip dough balls in egg whites and then roll in nuts. Set them on a cookie sheet and press down the center of each cookie. Bake at 350º for 10-12 minutes, then remove from oven and immediately press down center again. Cool completely. For filling, melt milk and chocolate and stir until smooth. Spoon into cookie centers and let cool until hardened. Now it's time for the Homemaking Party---I can't wait to see what you've got to share! *I was given a discount on my purchase in exchange for this review. Review was solicited by me because I LOVE this bag! All opinions are honest and are my own. Thans so much for hosting Sarah! Pinned the cookies! They are a great idea and look delicious! Good morning, Sarah. Thank you for hosting the blog party. Have a wonderful Wednesday! That is my kind of cookie. Another recipe to add to my "I want to make" list. That bag is adorable, too!! Those cookies look lovely. I am going to pin them to add to my list. Thanks so much for the party! You know, I haven't recovered from my cheating LAST holiday season. Been struggling with just plain stopping the gluten and sugar I've allowed too much of in my diet. These cookies with all that butter and sugar - Gah! I'm working on healthy alternatives, but then no one else in my family wants to eat them. How do I healthy alternative a Spritz cookie? Lots of yummies at the party this week! Thanks for hosting! I found your linky party through Faith Filled Food for Moms. My grandmother's name is Annie Bell and I named my second daughter Annabelle after her. Such a pretty name. 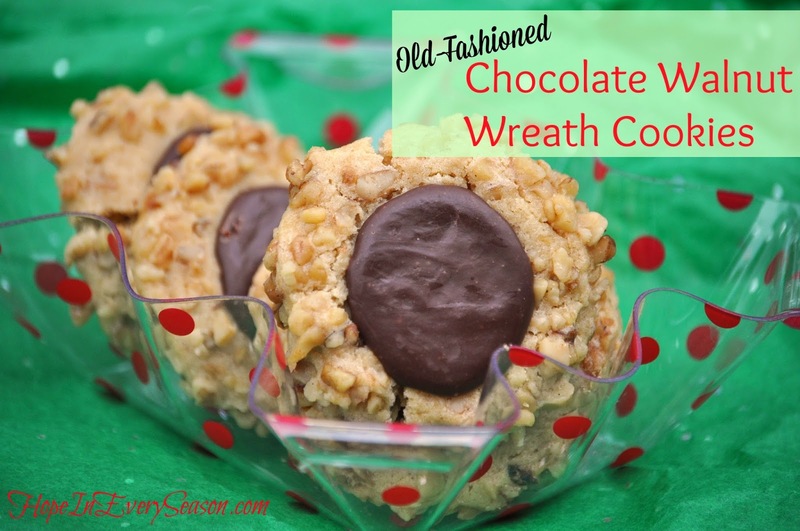 The wreath cookies look so good!